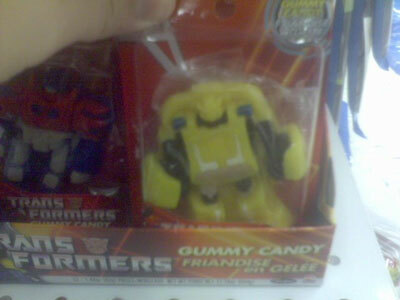 Signal Lancer from the TFW2005 forums took this picture of new Transformers candy being stock at Toys R Us. Yes its Bumblebee, totally gummy. Theres also Optimus Prime and Megatron gummies, both taking their look from last year’s Cybertron series. 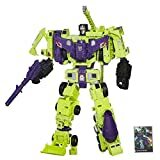 This might be the best Transformer to put in your mouth since you used the nose cone of your older brother’s Dirge for teething.